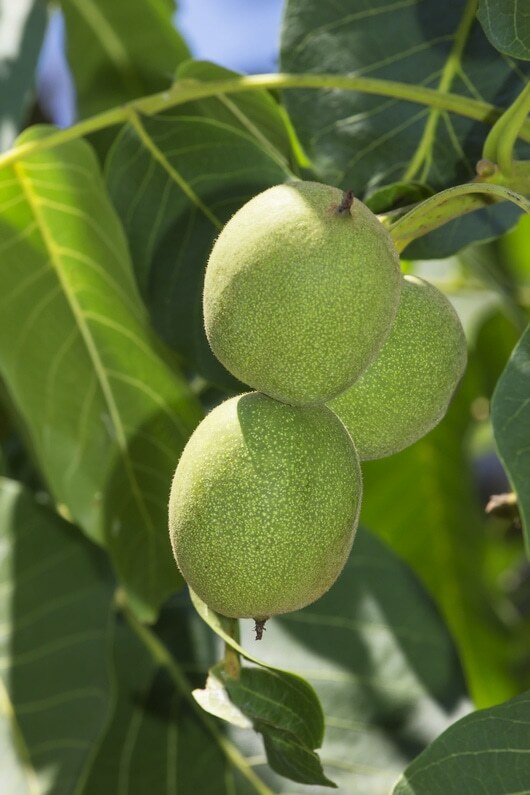 The English walnut is a fantastic, fast growing tree that was introduced to the British Isles as early as the sixteenth century from south-east Europe and Western Asia. Providing nutritious and tasty nuts for both man and beast, it proved to be a very popular tree indeed, and the walnut is now widely cultivated across the country. 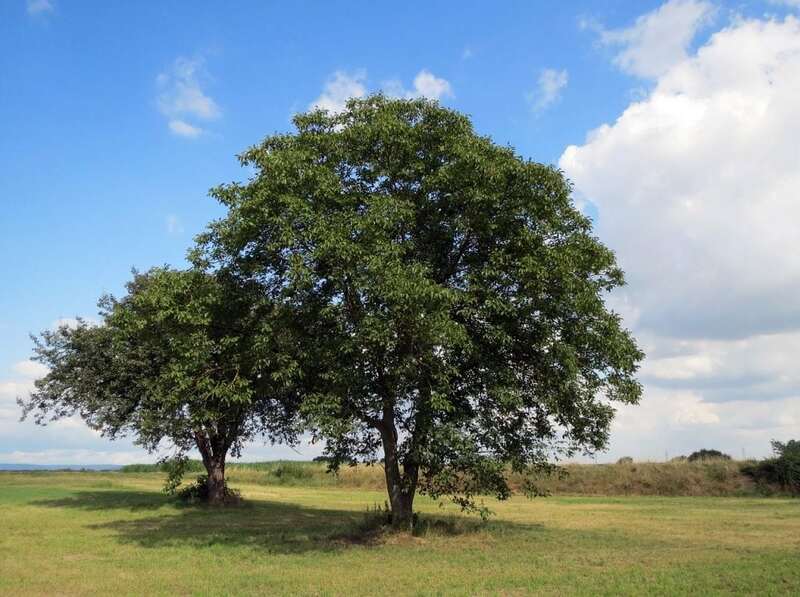 Because they grow such a spectacularly large crown of branches, walnut trees need plenty of sunlight and are therefore typically found growing on their own in parks, gardens and village squares where they have plenty of space to spread out. The black walnut is a variation of the species which is mainly found in North America and is known for potentially having harmful effects on nearby plants. 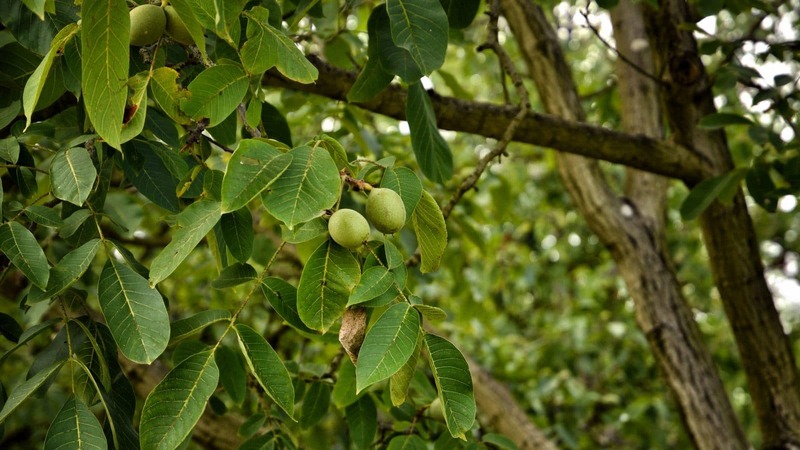 Out of all the walnut trees, the Black Walnut has the highest levels of a chemical compound called juglone, which is produced in the fruit, leaves and branches and can seep into the soil. What do we use walnut for? Considered a specialist hardwood, walnut is a popular material for crafting furniture and interior joinery. A word of caution, be careful with specifying darker wood in rooms that are likely to have lots of natural sunlight, as the colour can fade over time. 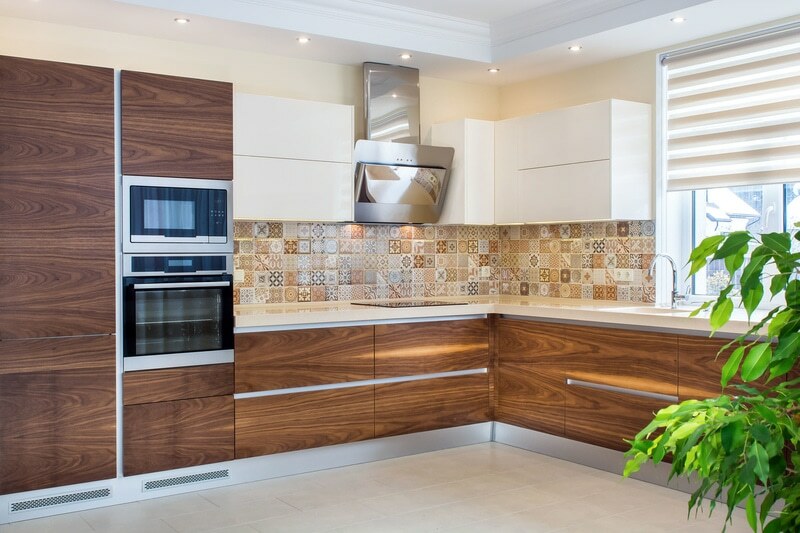 English walnut timber has a grain pattern which is very varied, with swirls and knots interspersed amongst grain flow. The wood is usually a soft brown shade, which contrasts with a cream sap. The timber will occasionally take on a fawn-coloured tone until finished, but the more interesting boards have auburn streaks which can pleasantly highlight the grain, while steaming can flatten the colouring if a more uniform look is required. Black walnut has a coffee brown tint, with chocolate and purple tones, and a grain pattern that is usually strong and straight. You’ll find that the patterns are more consistent than those found in its English cousins, as the black walnut is bigger and grows straighter. If you feel like an afternoon outdoors searching for walnut trees, its best to go in mid-April as the tree is most recognisable when the leaves open in a rich, orange colour. 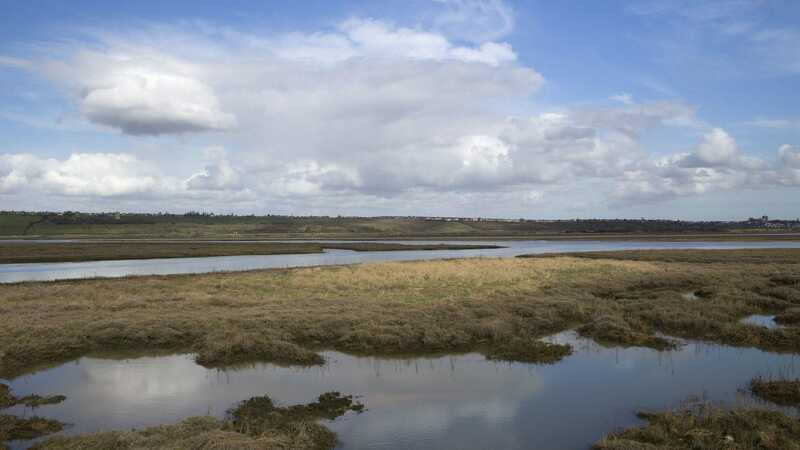 Their trunks can be huge, with smooth, grey plates separated by deep fissures and the twigs are rather thick. The walnut has very distinctive, pointed leaves with a slightly over-grown look, usually running down the stem in pairs of seven to nine. You’ll notice that the larger leaves give off a pleasant, citrus scent when crushed. 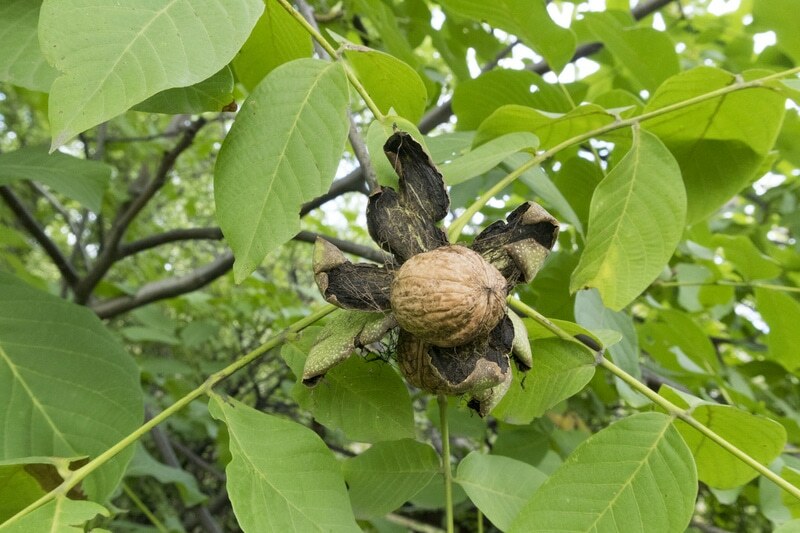 The walnut has both male and female flowers on the same tree – with droopy catkins and small female flowers. 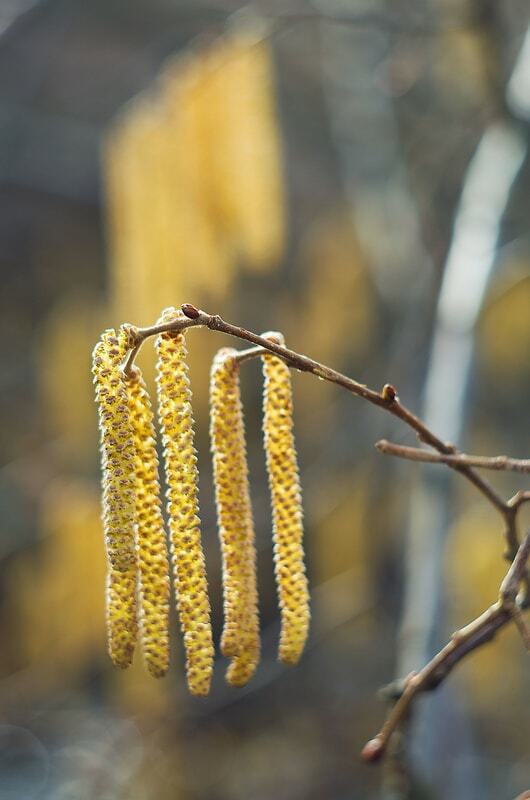 The pollen is light and can be carried across large distances to other trees that are up to a mile away. It’s the flowers that grow into green fruits, with the wrinkled and waxy walnuts sitting protected inside, safe and ready to eat. 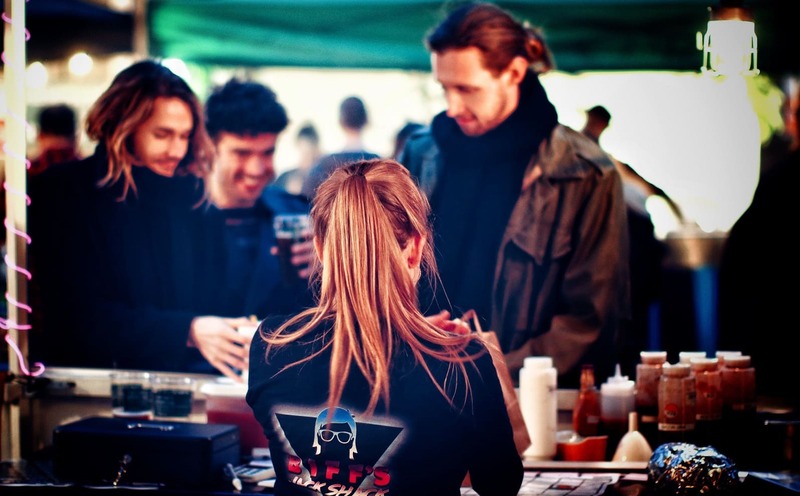 We use walnuts across a variety of different cuisines, and they can be eaten raw, salted or pickled. Try a pear, feta and walnut tart for a light lunch, or a slice of cranberry, honey and walnut bread with tea in the afternoon – the potential recipes are endless! The young and fragrant leaves can be used to make wine, known as Vin de Noix in France, and the sap of the walnut tree is also edible, just like the maple tree. Serve pancakes with walnut syrup for breakfast and you’ll certainly make a statement! Natural fabric dyes are making a bit of a comeback in the world of homemade crafts, and walnut was traditionally a popular material to use – boiling the green husks can produce a dark yellow dye, and the leaves make a dark brown that’s ideal for wool or cotton. 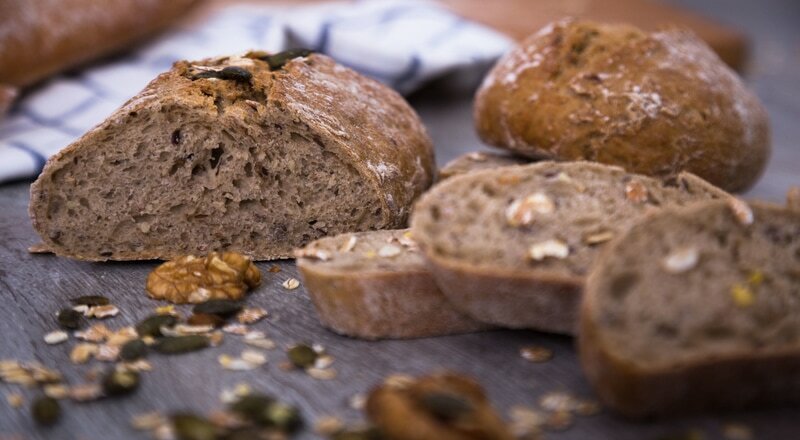 If you love using natural ingredients in the kitchen and want to get to grips with the humble but rather amazing walnut, then take a look at these mouth-watering recipes from Great British Chefs.